It's not the overtly violent kids cartoon of analogue television days. 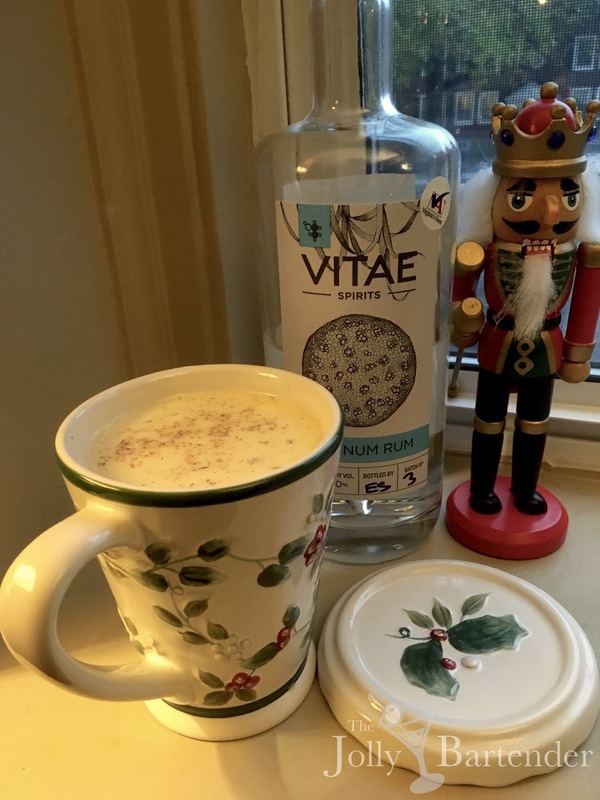 The Tom and Jerry is a hot Eggnog drink that dates back to the 1820s. The idea is intriguing. Eggnog is quintessentially Christmas, when it comes to drinking. But in the winter, at least in most places, a hot drink is desired. Tom and Jerry meets both needs. The trick, which this recipe addresses, is making a hot milk/ egg cocktail without turning it into a hard boiled mess. Some of that involves separating the egg and heating the milk with sugar. I can't explain why beating a yolk separate from the white helps, but someone came up with it and who am I to second guess them. The drink came out pretty good, too. Warm milk with sugar in a saucepan on low heat, stirring occasionally. Separate the egg yolk from the white and beat them. Pour brandy and rum into a warmed mug. Recombine eggs with the spirits and whisk. Pour in hot milk and sugar mixture and whisk. Top with grated nutmeg.